"Jake isn’t just a rare bird, he’s the professor you always wished you had, the friend you never get tired of epic hangs with, the human jukebox, the guitar player and singer who makes any band that he’s in better. He’s a southern scholar and gentleman in the tradition of Jim Dickinson, George Mitchell, and Les Blank. He’s a Dave Van Ronk for SEC country." "How wonderful that a record company has finally recorded an album by Jake Fussell. He is one helluva bluesman: my favorite of his generation, in fact; and, in my opinion, the best young traditional blues artist performing today." 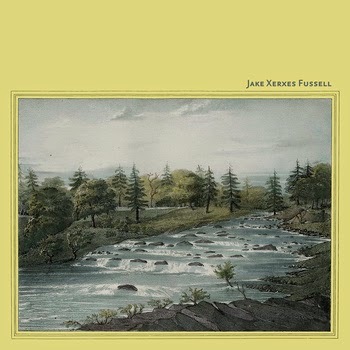 "Jake X. Fussell is certainly one of America's finest young tradition-based songsters and guitar pickers. He had an ideal start: as a kid traveling the back roads of Georgia, Alabama, and even out to the Indian regions of Oklahoma with his folklorist dad, hearing and absorbing not only the vocal styles and guitar licks of such greats as Precious Bryant, but also developing a sure sense of the expressive core of Southern roots music. From Georgia's Sea Islands and Chattahoochie Valley to the Mississippi Delta to the Blue Ridge Mountains, Jake is still listening and learning, and coming up with music that takes us to a deep place in the American spirit."